STORY LINE : A young lonely tree learns how friendships are formed through sharing with a young boy and creatures of the wooded plain. 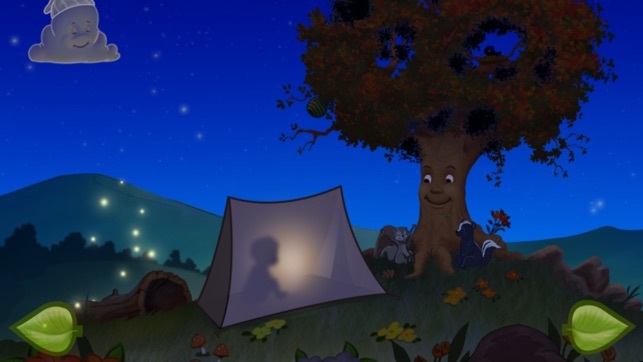 The tree encounters a difficult moment in the night, but the bond of friendship prevails. 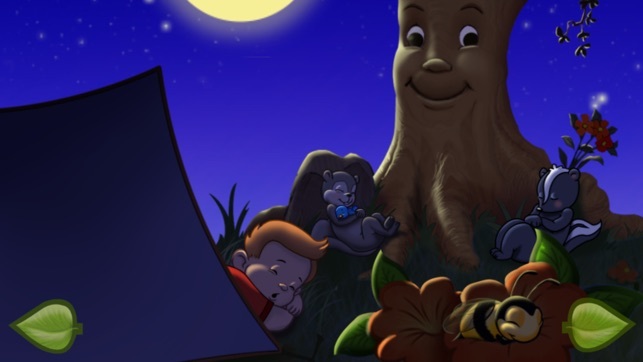 A caring crew of newly formed friends calms our worried troubled little tree....Read & Share an adorable storybook app with your kids for an amazing bedtime story! Over 50,000 digital copies sold worldwide! "(2) Kirkus Blue Star Awards" in counting for the Ayars Animation Development team! "Top 15 iPad Book Apps – Most Exceptional Use of Animation" - The Digital Media Diet. All of us will encounter a dark moment during our lifetime, but it is important to remember that loved ones will remain nearby in our hearts, minds, and memories, whether visible or invisible. As the light shines through, we realize that our loved ones will never leave us and stay by our side through any difficult life event we may encounter. Our story is for toddlers and children of all ages, offering elements to improve a child's "working memory" and re-call ability as they read. 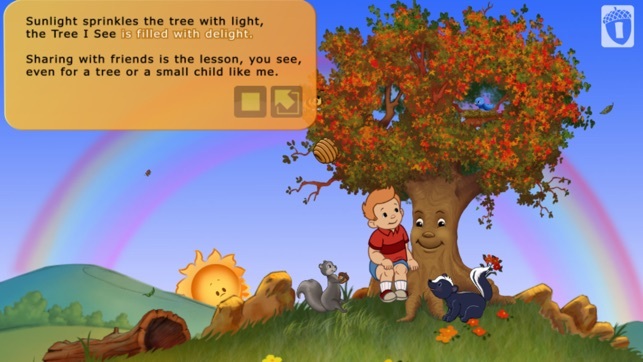 The Tree I See offers a consistent illustrative theme and gradual character integration, to maintain focus and build upon your child's literacy skills. Watch and enjoy your children, as they learn to read on their own while exploring our magical, engaging, fully interactive storybook. Fun for the whole family... 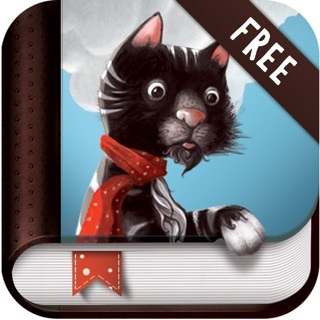 This is a Storybook APP you don't want to miss ! 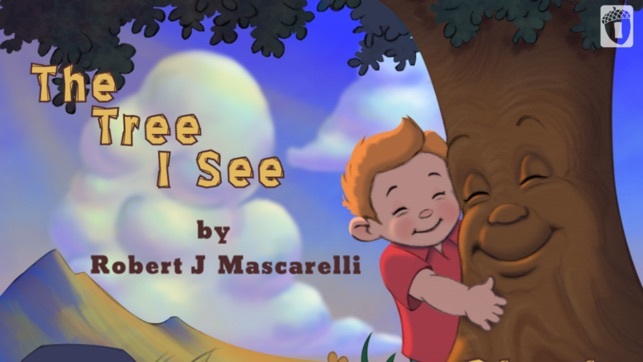 Some are even calling our story a 'pre-quel' to Shel Silversteins - The Giving Tree. 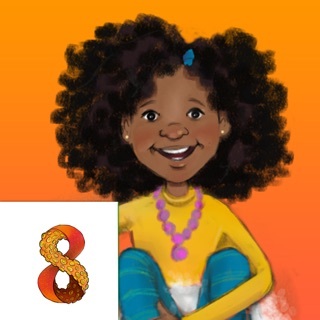 Aridan Books is a member of PARENTS WITH APPs, a collaborative group of family-friendly developers seeking to promote quality apps for kids and families. Contact us: For any technical issues please email our support team so we can help you right away. This book is wonderful for toddlers and even young school age children. My 6 year old opens it every day, she absolutely loves it! Great buy! The story holds my active 2 yr old's attention for at least 10 minutes. The "leaves" have to be touched by me. He hasn't mastered the whole "swiping motion" just yet. I assist him in turning the pages and pointing out features. The Tree I See has everything a kid could want in an ebook. 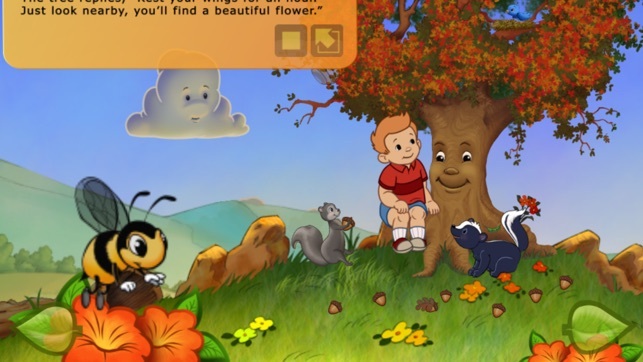 It is a great story with excellent animation that includes interactive games that every child will enjoy playing as they read along. That is probably the part that my kids (4 and 2) enjoy the most. They are part of the story. Active participants in the adventure. As a parent I was very impressed with the theme and hope that my kids will call upon what they learned from this book later in life. I am also very pleased with the fact that a portion (10%) of every book downloaded from StoryBook Transitions or Aridan Books goes toward a specific charity. This purchase was a great way to bond with my kids, foster their learning, and support Autism Speaks.